Tim and I checked out the pub down the street for some lunch. We did NOT however stick around for the afternoon’s entertainment…OY! 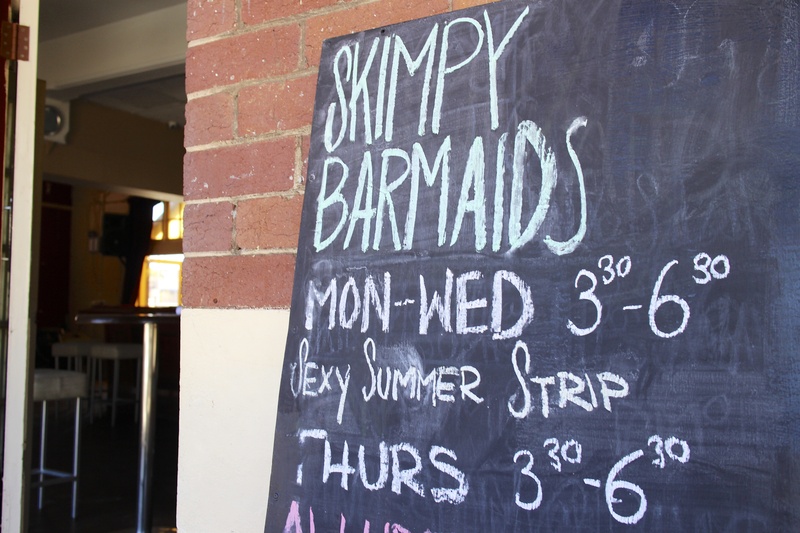 This entry was posted in North Fremantle and tagged North Fremantle, OY, Pub, Skimpy Barmaids. Bookmark the permalink.